1. Biuret reaction: the peptide bond reduces Cu2+ to Cu+ under alkaline conditions. The Cu+ ion then reduces the Folin reagent to produce a blue colored compound or complexes with bicinchoninic acid. Bradford method: Coomassie blue G-250 is converted from brown to blue upon interaction with protein. These methods work well with native proteins, but can have problematic background noise when performed on protein samples that contain reducing agents or detergents. This is because reducing agents can reduce copper and result in a color change, and detergents can bind to dye like Coomassie blue and cause a color change. This means that there can be a detectable color change due to the presence of reducers and detergents in a sample and it can mask the color change that results from protein interaction with the copper or dye. Detergent compatible (DC) protein assay methods were developed to help avoid this background color and to improve the sensitivity of protein assays in samples where reducing agents and detergents are present. There are instances where proteins must be denatured and reduced during the extraction or isolation process. Detergents help to solubilize and stabilize the proteins and also to break apart protein complexes in order to get an accurate measure of total protein concentration. Reducing agents stabilize proteins by reducing cysteines and preventing formation of disulfide bridges. 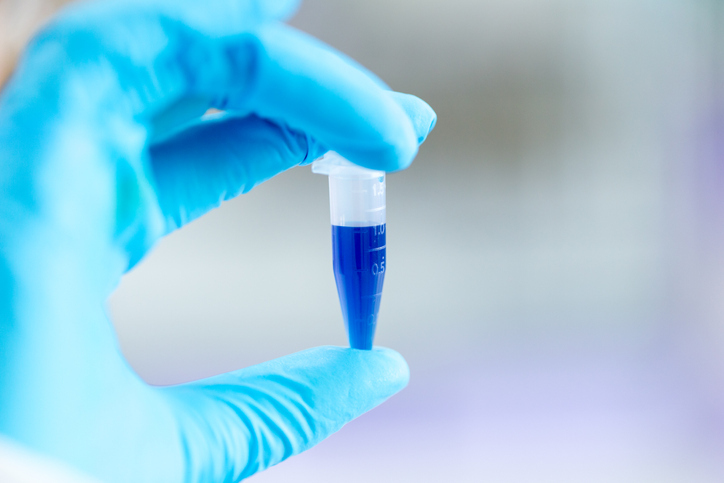 If the proteins are separated by molecular weight via SDS page prior to concentration analysis, then a DC protein assay is needed to achieve reliable results of protein amount or concentration. Proteins cannot be complexed together in an SDS page, nor can they be allowed to maintain their native 3-dimensional conformation because the resulting drag force would alter the migration rate of the protein through the gel, which would result in poorly defined electrophoresis bands and inconclusive results. So, reducing agents and detergents are unavoidable in these protocols. Luckily, all is not lost, and DC protein assays are available to mitigate the background color change due to the presence of reducing agents and detergents in the protein isolate. The DC protein assay is available as a commercial product with specific premixed assay solutions. However, one method of mitigating the background caused by detergents in a dye-based assay such as the Bradford assay is to sequester the detergents in the sample prior to adding the Coomasie blue. One way to sequester detergents is to add cyclodextrin molecules to the sample. Cyclodextrin is a ring of glucose subunits joined by glycosidic bonds. Cyclodextrins have a slightly hydrophobic interior and a hydrophilic exterior that can be utilized to improve the solubility of hydrophobic compounds or to sequester linear detergent molecules such as SDS. Cyclodextrin is produced from starch via enzyme-catalyzed cyclization. Alpha cyclodextrin has 6 glucose subunits. Beta cyclodextrin has 7, and gamma has 8. Alpha-cyclodextrin is good for linear molecules like SDS while beta-cyclodextrin is good for larger sterols or Triton X-100. The idea is to use the cyclodextrins to sequester the detergents and prevent them from interacting with the dyes (like Coomassie Blue) in the assay that are meant to solely interact with protein. This method has been shown to work well to decrease the unwanted background color change from detergent interactions and to improve the sensitivity of the protein assay in samples containing detergents.